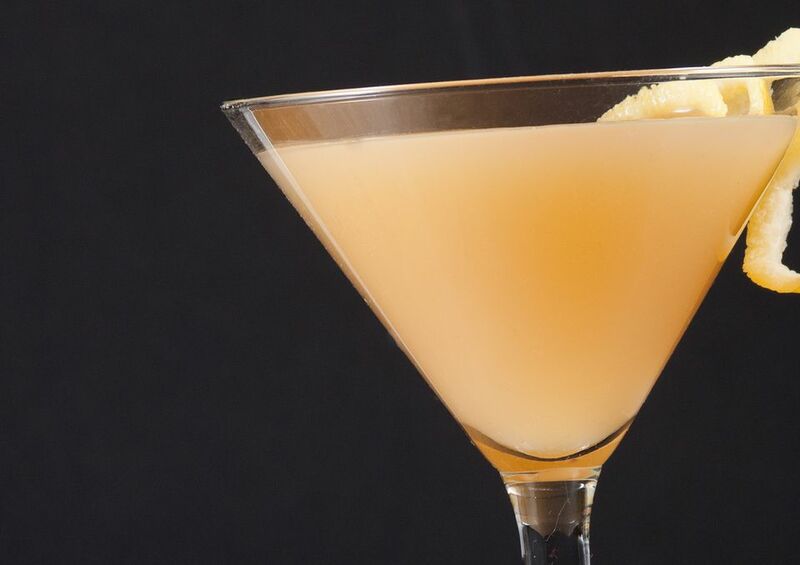 The Peartini is a simple and sweet cocktail that combines the flavor of pears with a little spice. It's a fun flavor for a martini and a perfect excuse to pick up a bottle of pear vodka. The spiced syrup uses classic wintertime spices like clove, cinnamon, allspice, nutmeg, vanilla, and orange. Brown sugar is the sweetener and gives it a rich base. This combination makes it a great drink to enjoy during the holidays. If you like, use an unflavored simple syrup and enjoy the drink year-round. There are a number of great pear vodkas available and Grey Goose La Poire is a favorite for this cocktail. You can also infuse your own vodka when the fruit is in season. In a cocktail shaker filled with ice, pour the ingredients. If you're really into some DIY projects for your home bar, the peartini is the drink for you. Not only can you make your own syrup and vodka, you can even make amaretto. The recipe for homemade amaretto requires a few basic ingredients and takes about 20 minutes. There's no waiting for an infusion, either, so it will be ready by the time your spiced syrup is. For the pear vodka infusion, use the techniques in this apple-pear gin. Simply skip the apples and use three pears. Have fun mixing pear varieties to create your own custom flavor. This infusion will take at least 1 week, though it may need to go longer—possibly as many as 3 weeks—to reach your ideal flavor. If you're going with made-from-scratch ingredients, you might as well use fresh lemon juice too. It's always the best option for creating better tasting cocktails and will improve the flavor of your peartini. Pears are just like apples when it comes to garnishes. Once you cut the fruit, the flesh will begin to brown as it's exposed to oxygen. To keep your garnishes looking fresh, give them a quick dunk in lemon juice right after cutting the slices. Shake off the excess, cut a small slit so it fits on the glass rim, and pour your drink. How Strong Is the Peartini? While many martinis are primarily made of alcohol and can be quite strong, this is not the case with the peartini. That's because flavored vodkas are generally just 35 percent ABV (70 proof), amaretto is usually around 21 percent ABV, and the rest of the drink is made up of nonalcoholic mixers. On average, you can expect that your peartini has an alcohol content around 19 percent ABV (38 proof). It's stronger than a glass of wine and about the same as a cosmopolitan.